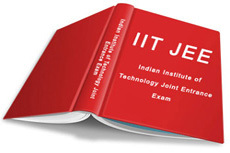 IITJEE is the joint entrance examination conducted for admissions to Indian Institutes of Technology. Cracking this exam requires clarity of thought, sound concepts and good problem solving skills, If you enjoy your studies for two years going through the exam should not be a problem. Have you been searching long for free IIT JEE Preparation books ? If yes, you have landed to the right place. We are providing links to some of the good books here. All these books are free to download. You can also download the free softwares which are text readers used to open these e-books. To download from mihd click on the top on request ticket. To download from filefactory scroll down and click at download with filefactory basic. You will have to enter a code after which you can download the ebook for free. To download from rapidshare click at free user.